Most students in Oregon rely partially on student loans to help pay for their education. In fact, the numbers can be staggering. In Oregon, 63 percent of students in the class of 2015 graduated with debt, averaging $27,697 per borrower. And, student debt is now the second-highest debt load for Oregonians. With student debt numbers this large, it is easy to understand how student loans can easily turn into the obligation of a lifetime. Over the past decade, people over the age of 60 had the fastest growing educational loan balances of any age group, according to the Federal Reserve Bank of New York ». The total amount grew by more than nine times, from $6 billion in 2004 to $58 billion in 2014. Faced with a lifetime of crushing debt, these borrowers often delay the major purchases that drive growth, like houses or automobiles. Fortunately, Attorneys General play an important role in protecting students, loan co-signers, and former students from misleading and deceptive student loan practices. In 2017, Oregon Governor Kate Brown signed into law Attorney General Rosenblum’s bill requiring Oregon colleges and universities to send students annual, easy-to-understand letters explaining the scope of their federal educational debt, including the amount of loans taken out, and what the potential total payment over the life of the loan could be. 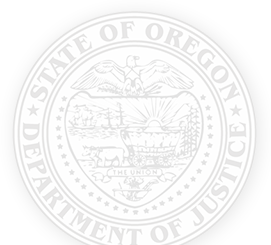 That is why in during the 2019 Oregon legislative session, the Attorney General is working with the Oregon legislature to introduce a bill to address some of the problems borrowers experience with student loan servicers, or the companies that service student loans and advise borrowers of their repayment options. These companies have been known to steer borrowers in detrimental directions and not to have the borrower’s best interests at heart. This legislative proposal would create a student loan ombudsperson to help educate and counsel student loan borrowers, who face complex systems of repayment. The bill also requires student loan servicers to maintain a license from the Department of Consumer and Business Services which would monitor, and, if necessary, sanction servicers of student loans. Download Four Signs a Student Loan Debt Relief Company is a Fraud ».